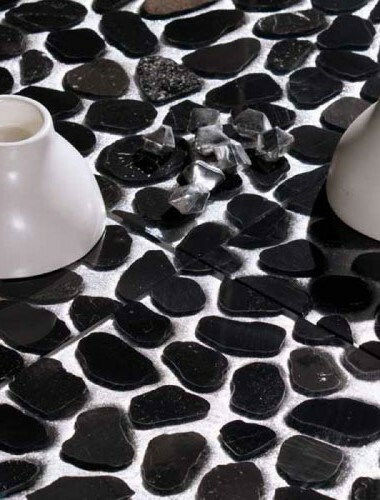 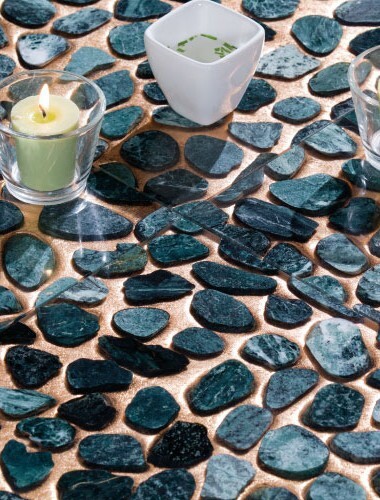 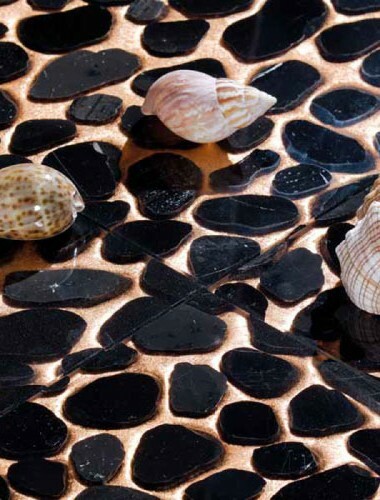 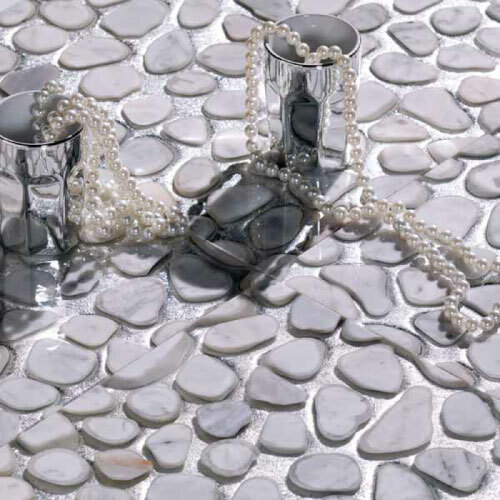 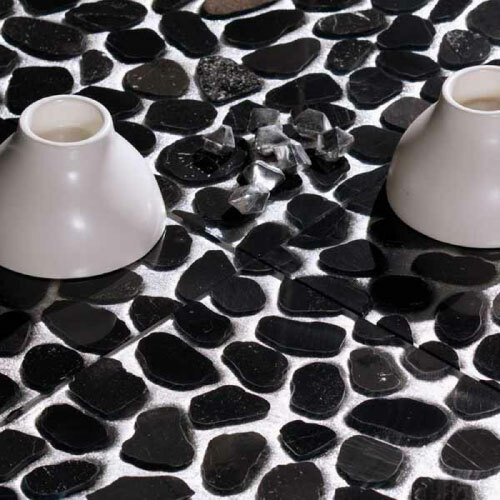 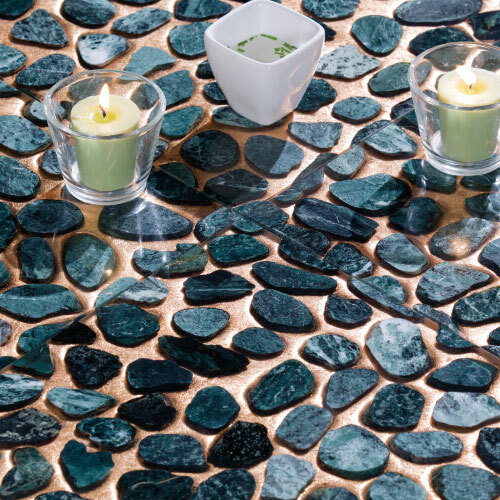 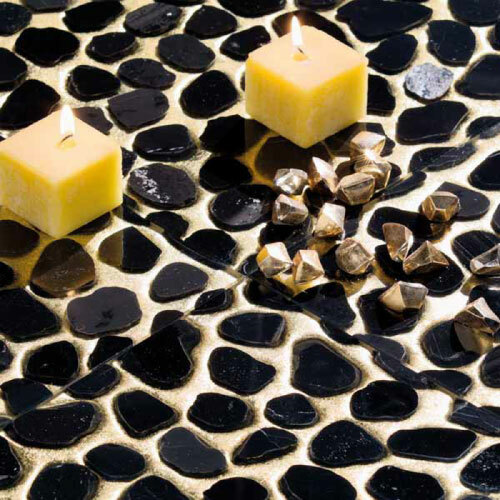 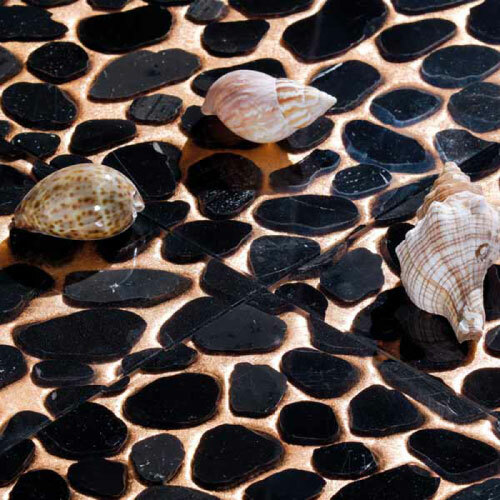 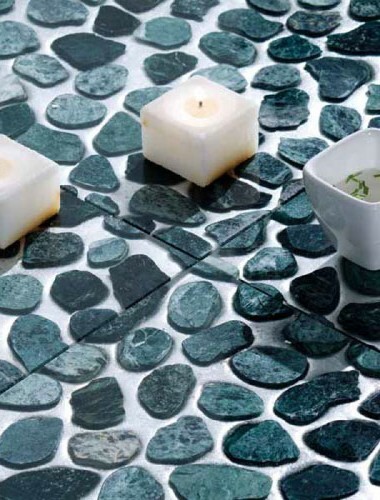 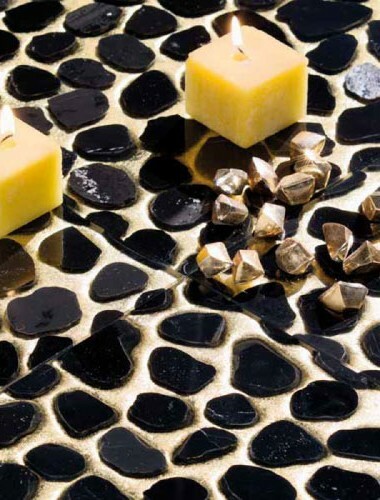 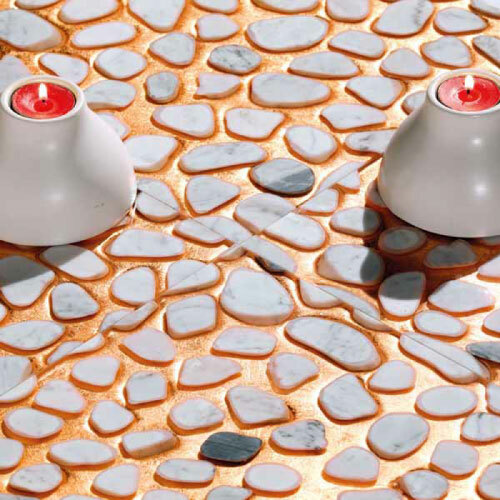 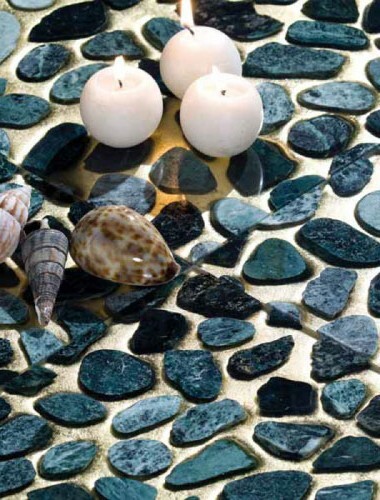 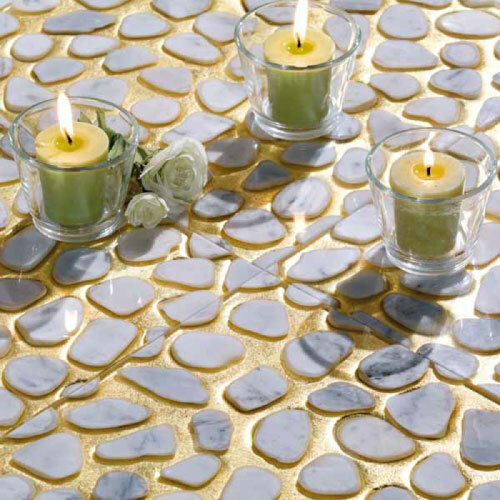 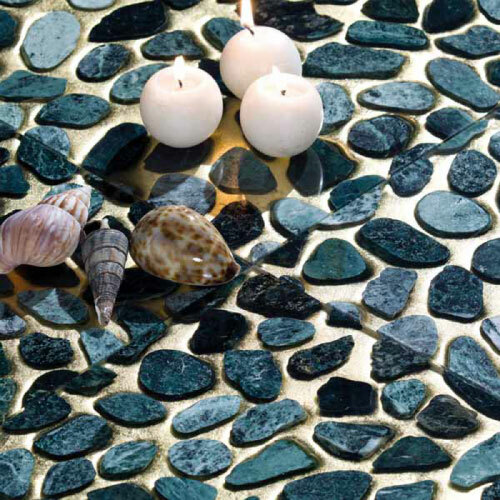 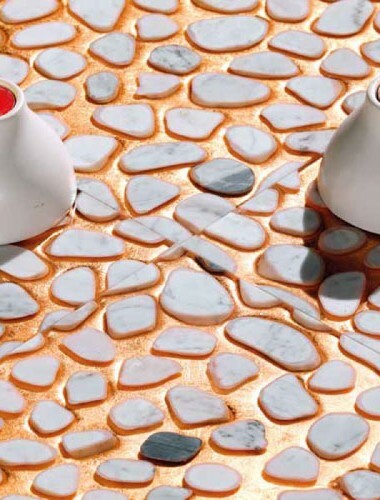 Criver pebbles accurately selected and hand laid, plunged into resin and precious metal leaves. 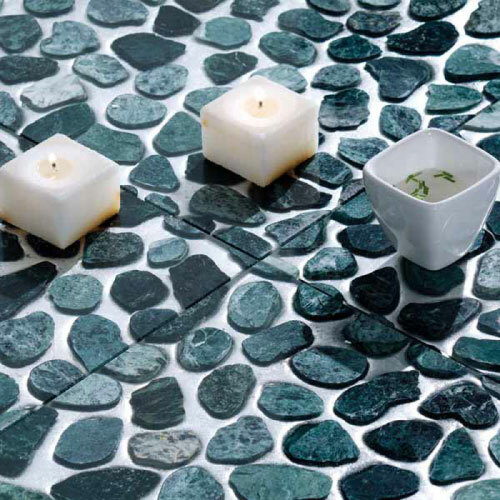 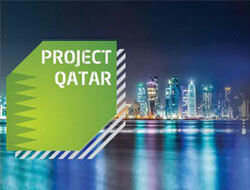 This product is so adaptable that its format can be personalized up to a maximum of 60×60 cm. 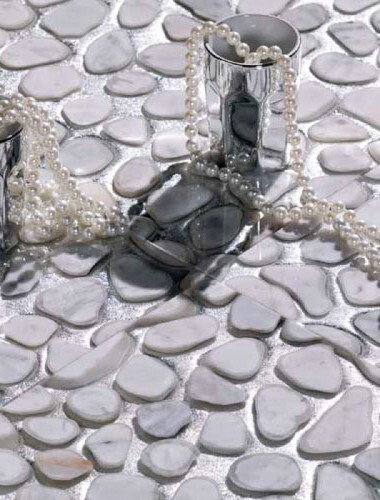 and allows polishing action during installation, even with other kinds of marble. 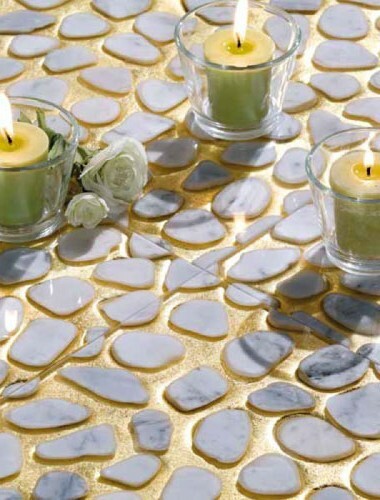 Available leaves: Gold, Silver, Copper, Pure Gold 24k, Platinum 1000, Silver 1000, variegated colour.